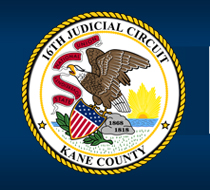 The Kane County Circuit Court's KiDs1st Program is a Court mandated Parental Education Program required for all parents and custodians involved in pending cases where the allocation of parental responsibilities may be at issue. NOTE: The KiDs1st Program consists of 3 STEPS. The entire program must be completed before the Court will enter any final custody or Parenting Order. STEP I: CALL the KiDs1st office with your case number or email your case number to kids1st@co.kane.il.us. Enter your case number and your last name. Select your case. Proceed with entering the Registration Information. You will receive the following confirmation: "Successfully Registered." Go to your email and open the email from KiDs1st and follow the instructions to ACTIVATE your account. Once you have activated your account LOG IN to your account and CLICK on the UPtoPARENTS link to complete the online tutorial. At the UPtoPARENTS website you will need to create a username and password. Once you complete the UPtoPARENTS tutorial you will receive your certificate of completion by email. You may also print a copy. YOU WILL NEED THE CODE ON YOUR CERTIFICATE OF COMPLETION TO TAKE THE TEST. DO NOT FILE THIS CERTIFICATE. IT IS not your FINAL CERTIFICATE OF COMPLETION. CLICK on Online Test on the menu bar. Enter your confirmation code and CLICK on Save Confirmation. Once you have answered all the questions and are ready to proceed CLICK on Finish & Grade. You must PASS the TEST in order to register for the classroom session. The following message will appear: You have passed the KiDs1st Program. Signup for an in-person class to complete the program. CLICK on Class SignUp. A calendar will pop-up. The dates highlighted in blue are the dates available. CLICK on the date you would like to attend. "Important Note:" will appear on the screen. Look over the information and CLICK on Register. You will receive the following confirmation: "Registered Successfully!" You may print your confirmation.